Wishing you the same Happy 4th of July! Hope all is well with you, Nanette! Happy Independence Day to you too Nanette! We are a Military family. Both of my brothers are retired from the Army. Both had over 27 yrs+ in the Army. My father was also in the Army, as were numerous uncles. Patriotic holidays are very emotional for me. I hope you enjoy the day with your family and loved ones! I changed my profile picture from the Thistle to Lori's tractor I made! I love that tractor block. Have a happy 4 th. 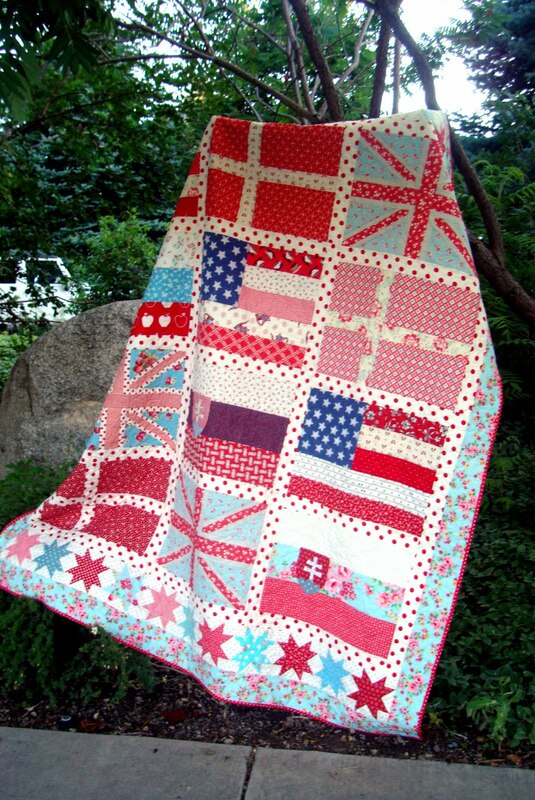 I love your flag quilt. Isn't it wonderful that we can retain niceties in today's world - enjoy, Nanette! Happy 4th of July my dear. 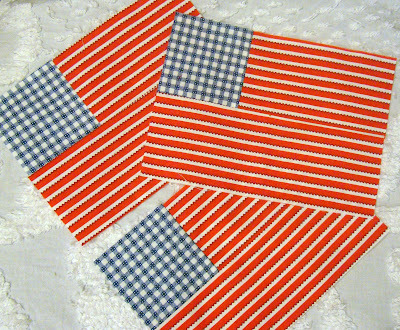 I am with you I love making flag quilts! Hope you had a good one Nanette!